Forgive the bold italic. I was subtly trying to draw your attention to Dr Poulter’s belief that there is no recruitment and retention crisis in GP-land. Or at least, no sudden new crisis in recruitment and retention which is not contiguous with the mess bequeathed by Labour. And yet the statistics rather speak for themselves – lies, damned lies, and BMA News. Anybody with one eye and half a brain will know that HMS Primary Care, if not actually sinking, is taking on water at a rate of knots. Now, you may argue (not unreasonably) that if a ship is taking on water, it is actually sinking. I don’t want to cavil over this, other than to extend my nautical metaphor to embrace the Department of Health’s (DoH’s) propensity for Nelsonian blindness and to muster all the usual clichés involving deckchair arrangement and undetected icebergs. We can be honest about the perilous state of the starboard hull, or we can sing another verse of ‘Nearer, My God, to Thee’ and pray for a bit of divine sub-waterline welding. Various initiatives have been introduced to plug the leak and restore buoyancy, from £20,000 ‘Golden Hellos’ to the (rather hopeful) advertising in Australian medical journals for ex-pat British GPs to ‘come back home’. I’m not sure why anyone would give up a life of sun, surf and Skippy the Bush Kangaroo for the interminable tedium of the NHS Quality and Outcomes Framework. Indeed, there was a 12 per cent shortfall in new GPs in training last year, and the first round of recruitment this year has resulted in a further drop of 6.2 per cent in applications. NHS England is quick to point out that these figures are not comparing like for like, but it’s hardly cause for optimism, is it? It seems an undeniable truth that General Practice is a deeply unpopular career choice for new medical graduates. It also seems undeniably true that our established GP workforce is either reducing its commitment from full to part-time, or retiring early. And those precious few new recruits are avoiding full-time roles as well. The full-time GP is rapidly becoming, if not quite as extinct as icebergs in the Red Sea, certainly as far removed from nine-to-five as RMS Carpathia was from Titanic on that fateful night. Here’s a challenge for you: take just one minute to ring your surgery and ask: i) how many doctors work at the surgery; and ii) how many are full-time. You might be in for a shock. My medical practice, in leafy if not positively verdant South Bucks, has nine doctors but only one full-timer (and rumour has it that he’s in training for a different role to permit a quiet shift to part-time work imminently). A sleepy Home Counties surgery made up entirely of part-timers? How on earth do the hustling cities cope? I forget how many budding doctors I’ve taught over the years. In Year 10, I guess about a quarter of my students wanted to be doctors. By Year12 it’s about ten per cent. When it comes to successful university admissions, I guess it’s about seven or eight out of a year group of 150. I’m still in touch with more than 30 of my former students who are now qualified doctors. But of these, only four are GPs. What is it that makes General Practice so unpopular when courses in Medicine are universally over-subscribed? The root of the problem is actually very clear: GPs are technically self-employed, and so the European Working Time Directive (EWTD) does not apply to them. There is therefore no limit to the amount of work that can be dumped in their in-tray by the DoH. GPs are personally responsible for keeping their own ships afloat, and individually legally culpable for any failures in life-boat provision and all on-board safety shortcomings. Hospital doctors (who undoubtedly also work extremely hard) have to clock in and clock out, and are shooed off the premises by paternal management if there’s the remotest risk of them exceeding their allotted hours. Any failure in ‘service provision’ in hospital practice is the fault of ‘the system’: no-one is held personally to account. Overspill is dealt with by the night shift, or shunted into next week’s clinic. There is no obvious or easy solution to this. Even the DoH has acknowledged that GP burnout is a serious issue driving premature retirement. We obviously need more GPs, but it’s a pretty hopeless task recruiting them when the workload is so onerous; and those who do join won’t take on a full-time role. We can’t ease the burden by converting GPs to regular NHS employees as the EWTD would kick in with immediate (and calamitous) effect (not to mention a UKIP piranha frenzy). So it’s a Catch 22: we can’t recruit enough GPs unless the workload eases, and we can’t ease the workload without more GPs. But the DoH does have a solution in mind. What HMS Primary Care needs, they aver, is a good old-fashioned re-structuring. There’s nothing quite like an invigorating dawn jog around the deck to lift the spirits of midshipmen (and women), so GPs are being manoeuvred into collaborative working with neighbouring practices to offer seven-day working. The public appetite for appointments, it seems, can be satisfied by cutting the same-sized cake into smaller portions. And Ed Miliband (to whom I refer in a non-partisan fashion) has reiterated his guarantee that anyone who wants a GP appointment (irrespective of urgency) will get one within 48 hours. And so the deckchairs of Primary Care restructuring meet the iceberg of GP self-employment. Waterlines can be ignored, but not without harrowing consequences. If only politicians could agree that GP workload is at the root of this problem, and that until staffing levels improve no-one ought to ask them to provide more services than they perform already. It needs a moratorium on change to let them catch their breath. But with votes to win, the urge to make unrealisable promises is too great to resist. Or perhaps, like Dr Poulter, we should all just deny there’s any problem at all. P.S. Cynics have suggested (wrongly in my humble opinion) that General Practice is being deliberately torpedoed by the U-boats of marketisation, so that when it’s rusting away on the ocean floor a whole new Atlantis of utopian private provision will rise from the murky depths. Whether this is true or not (and I don’t believe it is), another iceberg is looming. Those clapped-out, middle-aged, golf-obsessed GPs who are retiring in droves or swanning off to their villas in the Dordogne every other weekend are also, in very many cases, the owners or co-owners of their surgery premises. 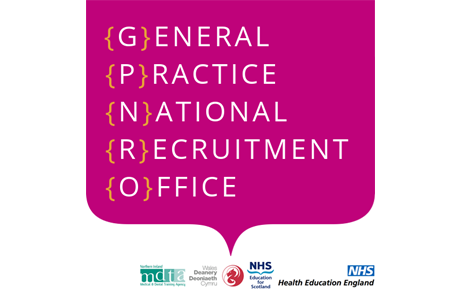 The new recruits who do join a practice are generally reluctant (in these uncertain times) to shackle themselves to premises ownership, and so the control of the very fabric of General Practice is slowly slipping out of practices’ hands. If Primary Care does survive this recruitment iceberg, then premises ownership will be the next unavoidable glacial mass to strike starboard. I’ve already spied it from the crow’s nest, and it wouldn’t float away with a change of government. This entry was posted in Health and tagged BMA, Dan Poulter, Department of Health, Doctors, Ed Miliband, EU Working Time Directive, General Election, GPs, Health Care, Jeremy Hunt, Lynton Crosby, NHS by admin. Bookmark the permalink.